Ms. Beschloss is founder and CEO of RockCreek. Previously, she was Managing Director and Partner at the Carlyle Group and President of Carlyle Asset Management. She was Treasurer and Chief Investment Officer of the World Bank and worked at Shell International and J.P. Morgan. Ms. Beschloss has advised governments, central banks, and regulatory agencies on global public policy and financial policy. She led the World Bank’s energy investments and policy advisory work on oil, natural gas, renewable and clean energy and power projects to reduce carbon emissions. She founded its natural gas investment and policy group to replace coal in many emerging markets. Ms. Beschloss is on the boards of the Institute for Advanced Study in Princeton, the World Resources Institute, the American Red Cross, and is the Vice-Chair of the Public Broadcasting Service (PBS). She is on the Visiting Committee at the Center for Development Economics at Williams College and is a member of the World Economic Forum’s Investor Governors and the Council of Foreign Relations. Ms. Beschloss is a past Trustee of the Ford Foundation, where she chaired the Investment Committee and was on the Sustainability Advisory Committee. She is a recipient of the Institutional Investor Lifetime Achievement Award and the Robert F. Kennedy Ripple of Hope Award. She was recognized as one of American Banker’s Most Powerful Women in Banking. Ms. Beschloss holds an MPhil (Honors) in Economics from the University of Oxford, where she taught international trade and economic development. She is the co-author of The Economics of Natural Gas and author of numerous journal articles on energy and finance. Ms. Beschloss is General Vice Chair of the PBS Board. 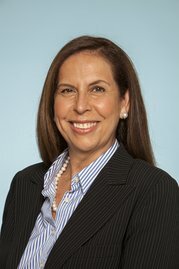 She also is Chair of the PBS Finance Committee and Vice-Chair of the Investment Committee. She also serves on the Executive and Nominating and Corporate Governance Committees. She is Vice Chair of the PBS Foundation Board of Directors.